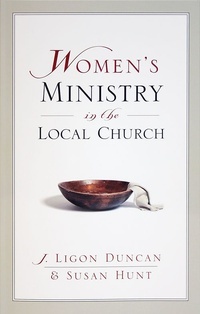 Ligon Duncan and Susan Hunt present a practical theology of women’s ministry in the local church. Susan Hunt and Ligon Duncan walk through the Scriptures to help readers better understand what it means to have an effective, biblical women’s ministry in the church. The benefits of women’s ministries are great: training and discipling, evangelizing, and reaching out to the poor and needy. This book, written by seasoned ministry leaders, provides many proven tools to help start a women’s ministry in your church.